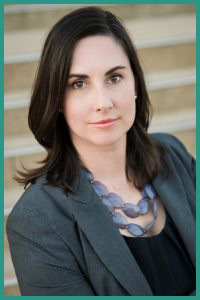 Alexandra Geczi is an attorney and mediator and the CEO of Dallas family law firm Alexandra Geczi PLLC. The challenges I experienced as a child growing up in a high-conflict home and as a target of bullies in school inspired me to create a law firm that empowers women through their divorce journeys so they can choose their own path in life. Rather than list my credentials first, I want to guide you on a journey, too, so you understand better what we do and why we do it. Hopeless? Depressed? Terrified? Angry? Ashamed? Embarrassed? And, if there are children in that relationship, how do you think they feel? They grow up absorbing that unhealthy relationship, experiencing the pain, modeling that behavior into their adult lives, and affecting others. Choosing to stay in an unhappy marriage has far-reaching consequences, affecting not just you, but also your children, their children, and future generations. One bad marriage can have a ripple effect on the rest of society for generations. I know because I was the child of an unhappy marriage. Society traditionally celebrates long marriages. People jealously ask, “What’s your secret?” They assume that the reason for the marriage’s longevity was wedded bliss. However, toxic relationships can be just as powerful when it comes to keeping people together. When it comes to relationships, society tends to value quantity (years together) over quality (happiness together). We don’t celebrate marriages that end in divorce. Instead, we shame and stigmatize people for “destroying” a marriage. We fail to appreciate the courage it takes to walk away. We fail to see that a family can be restructured into something more stable and healthy. We also fail to advocate for the women who are terrified of what awaits for them outside the confines of the marriage. Single mothers often earn less and end up struggling to support their children. Women remain uneducated about their finances and the ways they can take control of their lives. Without the support of others, life after divorce can seem more overwhelming and terrifying than the horrible dark place a woman is now. As a result, a woman may choose to suffer the evil she knows rather than venture into the uncertain unknown. Imagine a community and society that supported these women. What would that be like? What would it be like if the woman who is terrified of her abusive husband was empowered to protect herself and her children? What would it be like if women had an informed voice in their financial futures? What would it be like if that single mother knew that she wouldn’t have to struggle? You don’t have to wonder anymore. At Alexandra Geczi PLLC, we are innovating a better way. We prioritize our clients over the bottom line. We value the women who are scared of an uncertain future, but have the courage to venture forward anyway. We fight to educate and empower women so that they have a choice. We support our team from the inside as well. Each individual member of the team is empowered to achieve their own personal, financial, and professional success. We believe that you can take care of others only after you have taken care of yourself. By ensuring our team is more fulfilled, we ensure our clients are more fulfilled. Discover a better way to dissolve your marriage and resolve family conflict. Don’t spend another minute living in fear, uncertainty, or shame. Let us help you achieve the best version of yourself. Contact us when you’re ready to take the next step! And if you’re still interested in my credentials, they’re listed below. 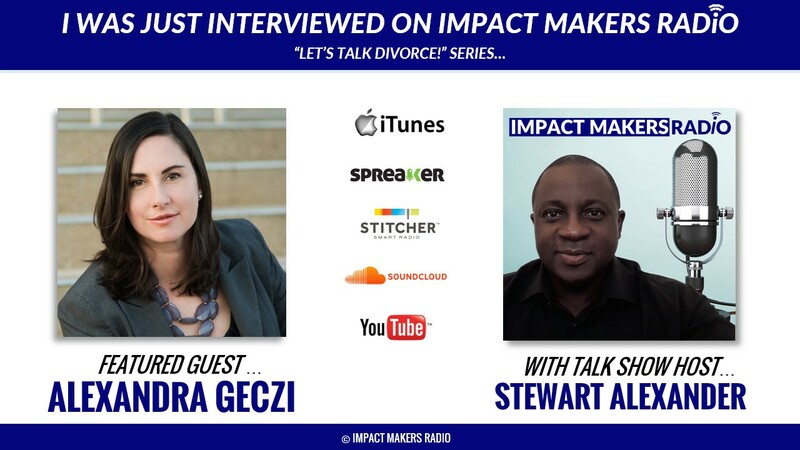 Learn more about Alexandra in VoyageDallas magazine or listen to the Impact Makers Radio interview of Alexandra where she and the host discuss ways that women can be empowered through the divorce process.